The project included 38 extra parking bays, installation of a staircase down to the beach, a beach shower, lighting upgrades and a 75m mural. Further improvements to the carpark entry and exits as well as a dual use path on West Coast Drive, next to the carpark, are also under way. Construction took eight months for contractors Ertech to complete and was funded by the City of Joondalup ($480,000), MAAC ($234,000) and the State Government ($1.38 million). 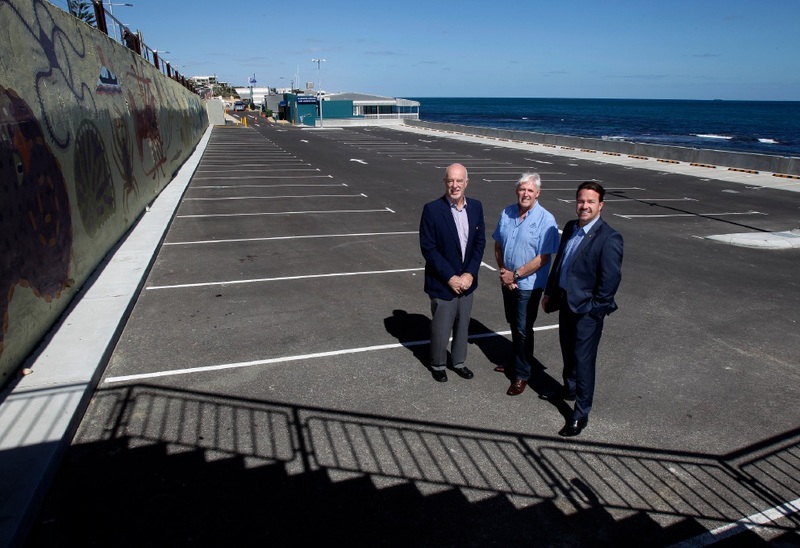 “Due to the site restrictions caused by coastal proximity and the retention of West Coast Drive, innovative construction methods were used to achieve the goal of essentially doubling the capacity of the car park,” Mr Pickard said. Also read: Artist Amok Island has work installed near Marmion Angling and Aquatic Club.